How a Percona Xtradb Backup Works ? This works because InnoDB maintains a redo log, also called the transaction log. This contains a record of every change to InnoDB data. When InnoDB starts, it inspects the data files and the transaction log, and performs two steps. It applies committed transaction log entries to the data files, and it performs an undo operation on any transactions that modified data but did not commit. When backup locks are supported by the server, xtrabackup will first copy InnoDB data, run the LOCK TABLES FOR BACKUP and copy the MyISAM tables and .frm files. Once this is done, the backup of the files will begin. It will backup .frm, .MRG, .MYD, .MYI, .TRG, .TRN, .ARM, .ARZ, .CSM, .CSV, .par, and .opt files. After that xtrabackup will use LOCK BINLOG FOR BACKUP to block all operations that might change either binary log position or Exec_Master_Log_Pos or Exec_Gtid_Set (i.e. master binary log coordinates corresponding to the current SQL thread state on a replication slave) as reported by SHOW MASTER/SLAVE STATUS. xtrabackup will then finish copying the REDO log files and fetch the binary log coordinates. After this is completed xtrabackup will unlock the binary log and tables.Finally, the binary log position will be printed to STDERR and xtrabackup will exit returning 0 if all went OK. Note that the STDERR of xtrabackup is not written in any file. You will have to redirect it to a file, e.g., xtrabackupOPTIONS 2> backupout.log. During the prepare phase, Percona XtraBackup performs crash recovery against the copied data files, using the copied transaction log file. After this is done, the database is ready to restore and use. To restore a backup with xtrabackup you can use the xtrabackup –copy-back or xtrabackup –move-back options. It will copy the MyISAM tables, indexes, etc. (.frm, .MRG, .MYD, .MYI, .TRG, .TRN, .ARM, .ARZ, .CSM, .CSV, par and .opt files) first, InnoDB tables and indexes next and the log files at last. It will preserve file’s attributes when copying them, you may have to change the files’ ownership to mysql before starting the database server, as they will be owned by the user who created the backup. Alternatively, the xtrabackup –move-back option may be used to restore a backup. This option is similar to xtrabackup–copy-back with the only difference that instead of copying files it moves them to their target locations. As this option removes backup files, it must be used with caution. It is useful in cases when there is not enough free disk space to hold both data files and their backup copies. This tutorial will show you how to perform a full hot backup ,incremental backup and data restoring of your MySQL or MariaDB databases using Percona XtraBackup on Ubuntu 14.04. · Whether xtrabackup or innobackupex is used, there are two actors involved: the user invoking the program – a system user – and the user performing action in the database server – a database user. Note that these are different users in different places, even though they may have the same username. · To perform a hot backup of your database, your database system must be using the InnoDB storage engine. This is because XtraBackup relies on the transaction log that InnoDB maintains. The xtrabackup binary reads the [mysqld] and [xtrabackup] sections from any configuration files, in that order. That is so that it can read its options from your existing MySQL installation, such as the datadir or some of the InnoDB options. If you want to override these, just specify them in the [xtrabackup] section, and because it is read later, it will take precedence. Once you install this package the Percona repositories should be added. You can check the repository setup in the/etc/apt/sources.list.d/percona-release.list file. XtraBackup requires a MySQL user that it will use when creating backups. Let’s create one now. To create a backup, run xtrabackup with the xtrabackup –backup option. If the target directory does not exist, xtrabackup creates it. If the directory does exist and is empty, xtrabackup will succeed. xtrabackup will not overwrite existing files, it will fail with operating system error 17, file exists. innobackupex is a script written in Perl that wraps the xtrabackup and performs the tasks where the performance and efficiency of C program isn’t needed. Alternatively, you may omit the –no-timestamp to have XtraBackup create a backup directory based on the current timestamp. This will store the backup at /data/backups/. If you specify a relative path, the target directory will be relative to the current directory. xtrabackup: Transaction log of lsn (<SLN>) to (<LSN>) was copied. drwx—— 7 root root 4.0K Sep 6 10:19 .
drwxrwxrwt 11 root root 4.0K Sep 6 11:05 ..
We need to prepare it in order to restore it. Data files are not point-in-time consistent until they’ve been prepared, because they were copied at different times as the program ran, and they might have been changed while this was happening. If you try to start InnoDB with these data files, it will detect corruption and crash itself to prevent you from running on damaged data. The xtrabackup –prepare step makes the files perfectly consistent at a single instant in time, so you can run InnoDB on them. During the prepare operation, xtrabackup boots up a kind of modified InnoDB that’s embedded inside it (the libraries it was linked against). The modifications are necessary to disable InnoDB’s standard safety checks, such as complaining that the log file isn’t the right size, which aren’t appropriate for working with backups. You can prepare a backup created with older Percona XtraBackup version with a newer one, but not vice versa. 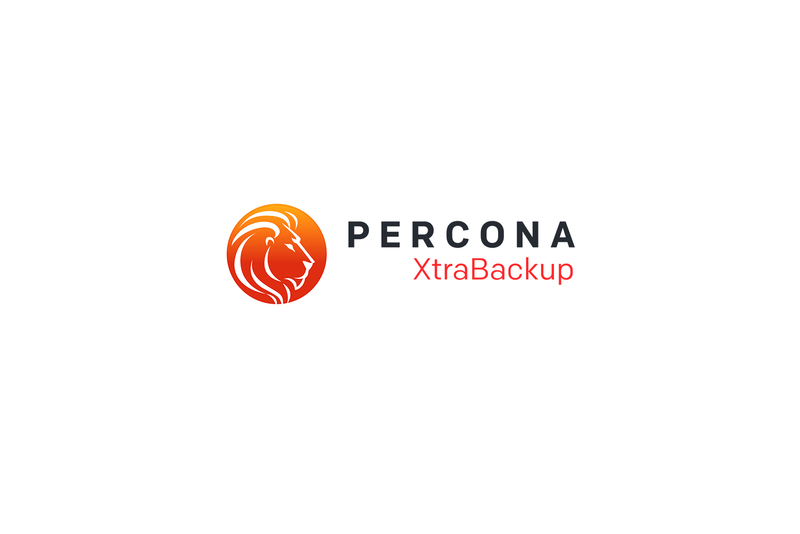 Preparing a backup on an unsupported server version should be done with the latest Percona XtraBackup release which supports that server version. The prepare step uses this “embedded InnoDB” to perform crash recovery on the copied data files, using the copied log file. The preparing process can be speed up by using more memory in it. It depends on the free or available RAM on your system, it defaults to 100MB. xtrabackup: notice: xtrabackup_logfile was already used to ‘–prepare’. If you intend the backup to be the basis for further incremental backups, you should use the xtrabackup –apply-log-only option when preparing the backup, or you will not be able to apply incremental backups to it. Then move or delete the contents of the datadir (/var/lib/mysql). If you don’t want to save your backup, you can use the xtrabackup –move-back option which will move the backed up data to the datadir. If you don’t want to use any of the above options, you can additionally use rsync or cp to restore the files. The datadir must be empty before restoring the backup. Also it’s important to note that MySQL server needs to be shut down before restore is performed. You can’t restore to a datadir of a running mysqld instance (except when importing a partial backup). Both xtrabackup and innobackupex tools supports incremental backups, which means that they can copy only the data that has changed since the last backup. You can perform many incremental backups between each full backup, so you can set up a backup process such as a full backup once a week and an incremental backup every day, or full backups every day and incremental backups every hour.Incremental backups work because each InnoDB page contains a log sequence number, or LSN. The LSN is the system version number for the entire database. Each page’s LSN shows how recently it was changed. An incremental backup copies each page whose LSN is newer than the previous incremental or full backup’s LSN. There are two algorithms in use to find the set of such pages to be copied. The first one, available with all the server types and versions, is to check the page LSN directly by reading all the data pages. The second one, available with Percona Server, is to enable the changed page tracking feature on the server, which will note the pages as they are being changed. This information will be then written out in a compact separate so-called bitmap file. The xtrabackup binary will use that file to read only the data pages it needs for the incremental backup, potentially saving many read requests. The latter algorithm is enabled by default if the xtrabackup binary finds the bitmap file. It is possible to specify xtrabackup –incremental-force-scan to read all the pages even if the bitmap data is available. Incremental backups simply read the pages and compare their LSN to the last backup’s LSN. You still need a full backup to recover the incremental changes, however; without a full backup to act as a base, the incremental backups are useless. To make an incremental backup, begin with a full backup as usual. The xtrabackup binary writes a file called xtrabackup_checkpoints into the backup’s target directory. The /data/backups/inc1/ directory should now contain delta files, such as ibdata1.delta and test/table1.ibd.delta. In this case you can see that there is a difference between the to_lsn (last checkpoint LSN) and last_lsn (last copied LSN), this means that there was some traffic on the server during the backup process. In full backups, two types of operations are performed to make the database consistent: committed transactions are replayed from the log file against the data files, and uncommitted transactions are rolled back. You must skip the rollback of uncommitted transactions when preparing an incremental backup, because transactions that were uncommitted at the time of your backup may be in progress, and it’s likely that they will be committed in the next incremental backup. You should use thextrabackup –apply-log-only option to prevent the rollback phase. This applies the delta files to the files in /data/backups/base, which rolls them forward in time to the time of the incremental backup. It then applies the redo log as usual to the result. The final data is in /data/backups/base, not in the incremental directory. incremental backup from 1626007 is enabled. xtrabackup: This target seems to be already prepared with –apply-log-only. If you restore the files from /data/backups/base, you should see the state of the database as of the first incremental backup. xtrabackup –apply-log-only should be used when merging all incrementals except the last one. That’s why the previous line doesn’t contain the xtrabackup –apply-log-only option. Even if the xtrabackup –apply-log-only was used on the last step, backup would still be consistent but in that case server would perform the rollback phase. Once prepared incremental backups are the same as the full backups and they can be restored the same way. xtrabackup: Transaction log of lsn (9291934) to (9291934) was copied. Percona XtraBackup doesn’t automatically remove the encrypted files. In order to clean up the backup directory you should use xtrabackup –remove-original option. Note that this option is passed to xtrabackup –tables and is matched against each table of each database, the directories of each database will be created even if they are empty. The command above will create a timestamped directory with the usual files that innobackupex creates, but only containing the data-files related to mytable in the mydatabase directory and the mysql directory with the entire mysqldatabase. Note that you can use the –export option with –apply-log to an already-prepared backup in order to create the .exp files. This will create for each InnoDB with its own tablespace a file with .exp extension. The table should now be imported, and you should be able to SELECT from it and see the imported data. Persistent statistics for imported tablespace will be empty until you run the ANALYZE TABLE on the imported table. They will be empty because they are stored in the system tables mysql.innodb_table_stats and mysql.innodb_index_stats and they aren’t updated by server during the import. Recovering up to particular moment in database’s history can be done with innobackupex and the binary logs of the server. Now, suppose that time has passed, and you want to restore the database to a certain point in the past, having in mind that there is the constraint of the point where the snapshot was taken. The first query will tell you which files contain the binary log and the second one which file is currently being used to record changes, and the current position within it. Those files are stored usually in the datadir (unless other location is specified when the server is started with the –log-bin= option). and the database will be rolled forward up to that Point-In-Time.